Alice Goldberg Wildes is a cyclone of energy. 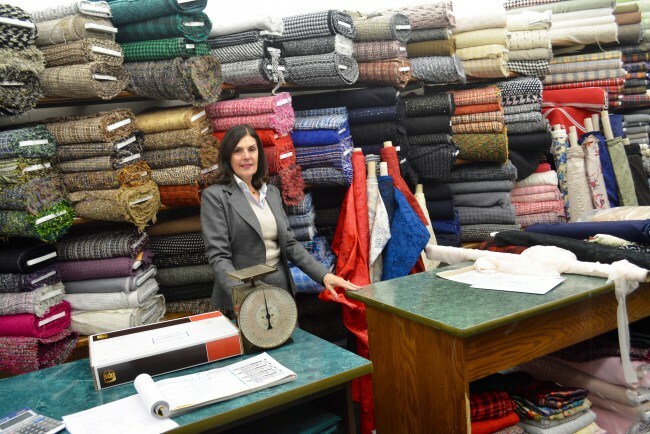 The great-granddaughter of Mendel Goldberg, founder of Mendel Goldberg Fabrics, is doing what she does best—providing highly personal service and applying her discerning, curator’s eye to clients. On this day, she’s on the phone for nearly an hour with a woman from Israel who’s planning a wedding. She’s clarifying the order to ensure the shade of the fabric is just right: “No, if you’re looking for navy, this ain’t it. It looks like black but it’s definitely blue. … Well, it’s ink. Once it’s cut, it’s yours,” she tells the client.